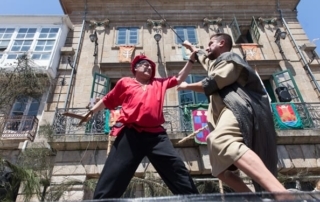 This feast is celebrated between the 14th and the 25th of August, in honour of San Roque, the city’s patron. 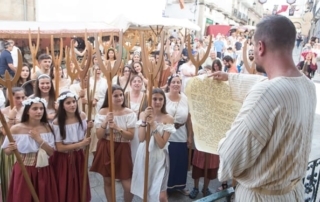 It was declared a “National Tourist and Cultural Interest” because of the diverse programme of activities undertaken yearly and the religious and traditional content of the celebration. 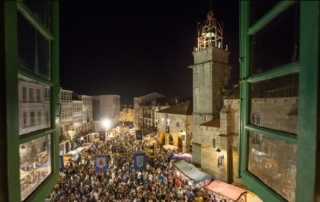 There is a high number of visitors, especially when traditional events are on, such as the release of the hot air balloon and the Caneiros pilgrimage. 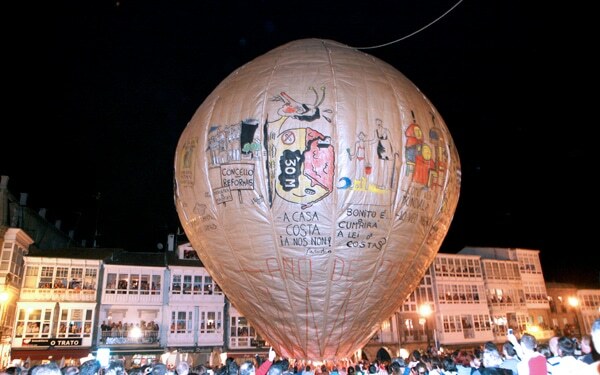 The balloon is launched at midnight on the 16th of August. 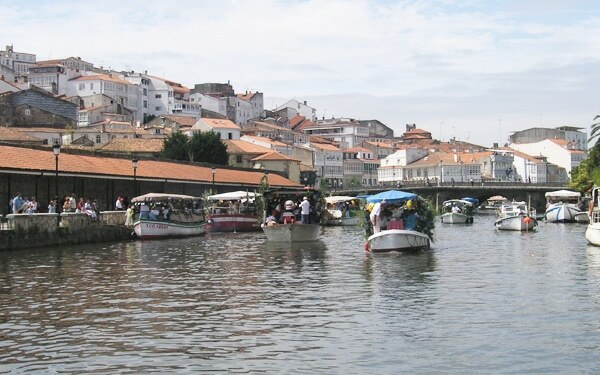 The Caneiros is celebrated on the 18th and 25th of August and constitutes a parade on the Mendeo river that is full of decorated boats carrying the pilgrims upstream to finally enjoy an all day party. 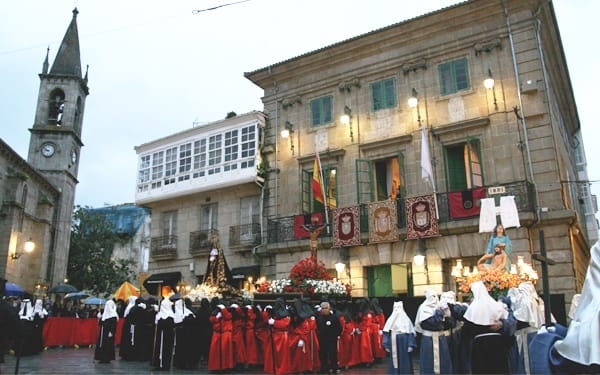 The festival is celebrated on the second Sunday of July and is a step back into the past. 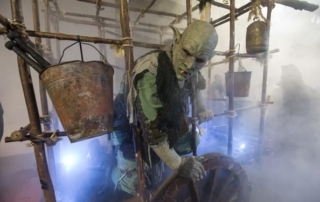 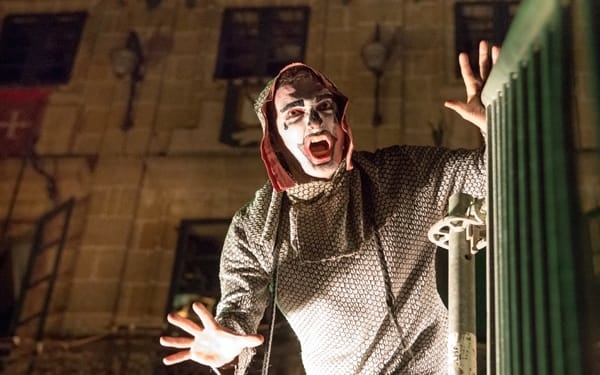 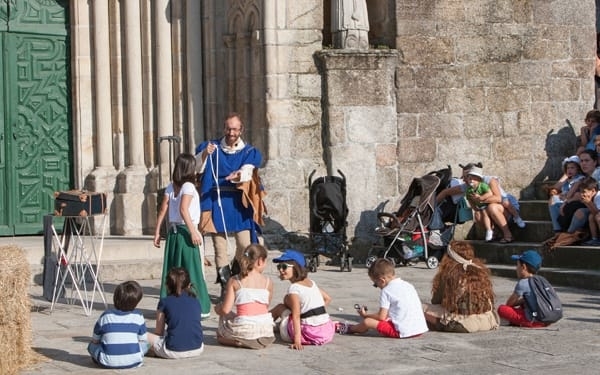 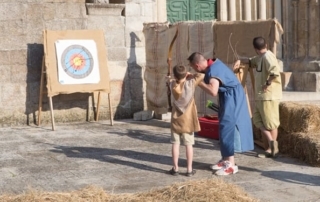 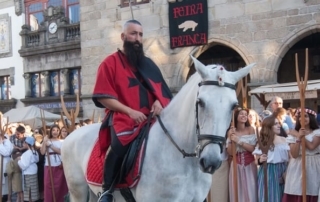 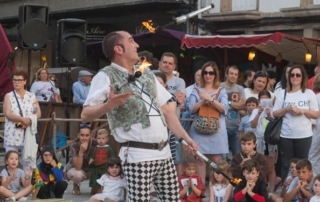 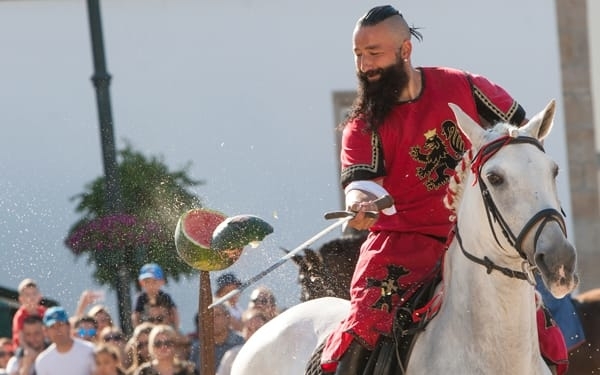 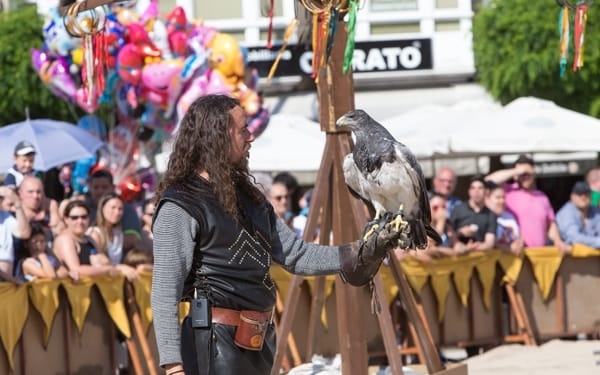 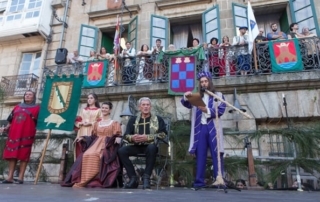 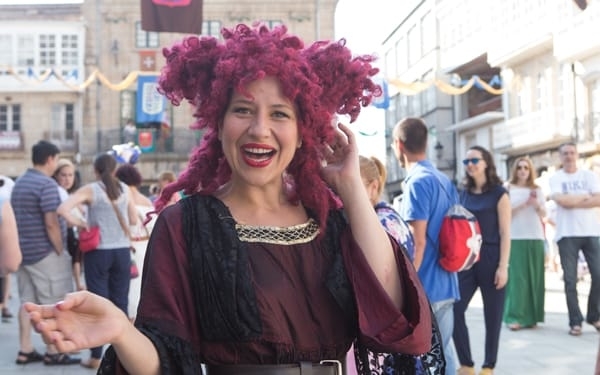 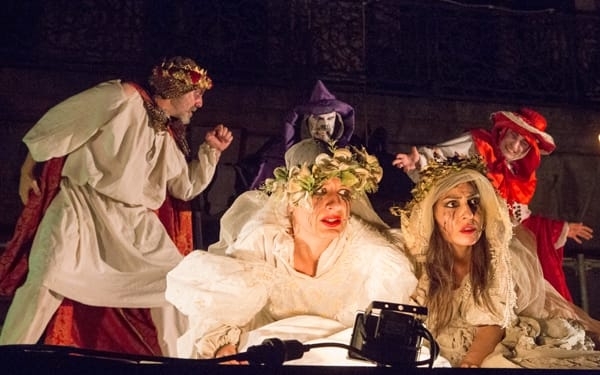 During this time, the historical centre becomes a typically medieval city, with different artisan stands, typical medieval activities, as well as different theatrical plays and street music. 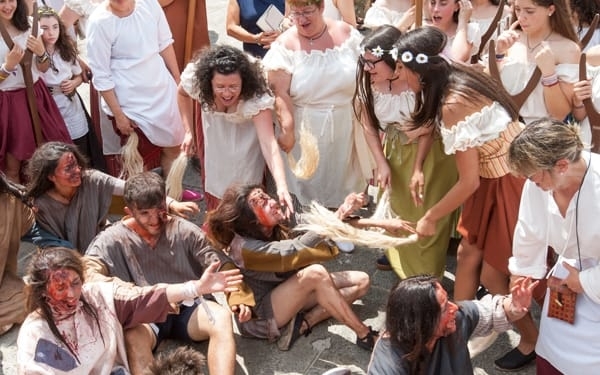 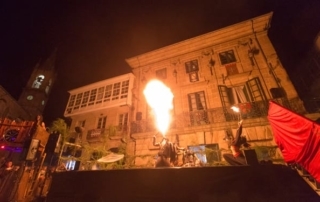 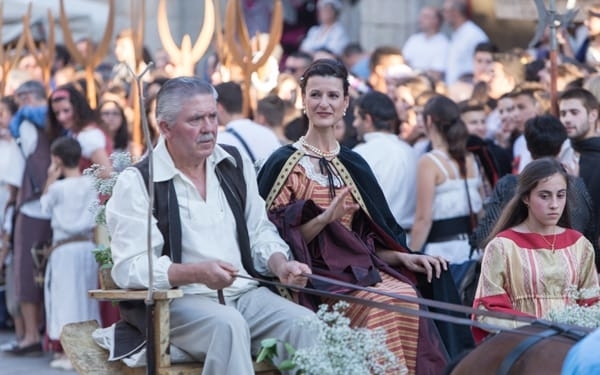 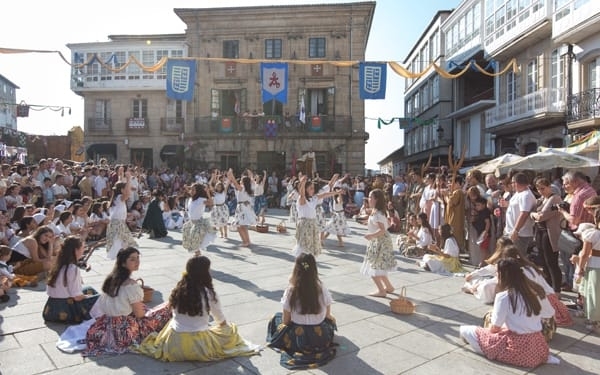 We should also highlight the participation of the Betanzos citizens, both from organizations and individuals, and the numerous ancient costumes seen in the city during the celebration. It has been declared a “Festivity of Tourist Interest of Galicia”. 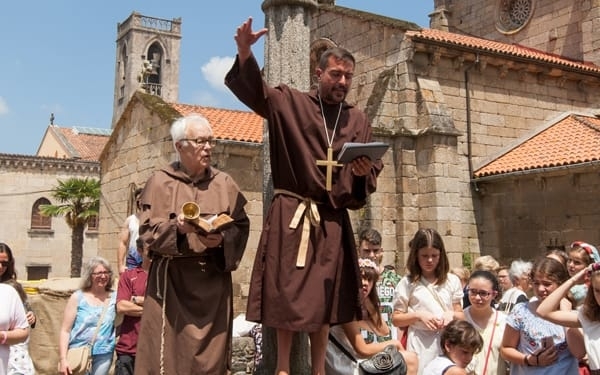 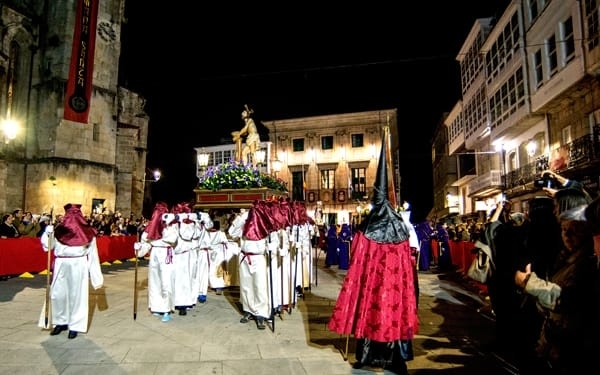 Long-established in the region, there are numerous processions and lots of participants, making it one of the most attractive Holy Weeks in Galicia. 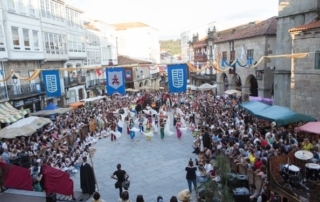 It was declared a Festivity of Regional Tourist Interest in 2017. 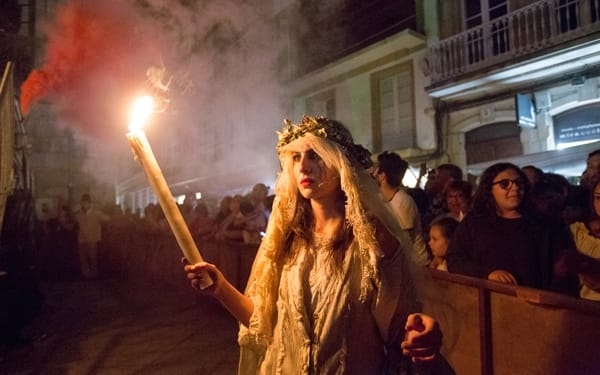 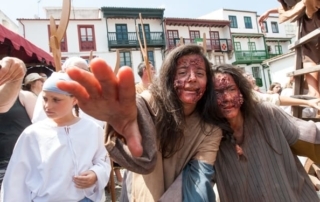 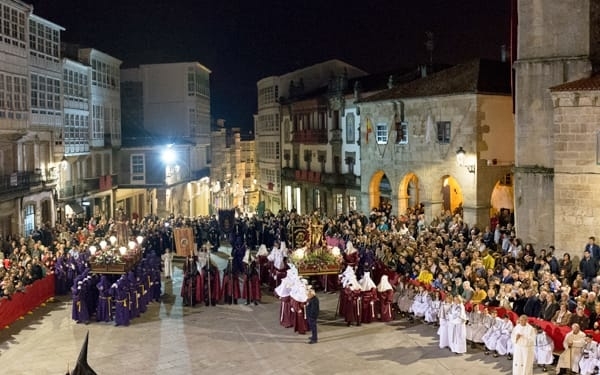 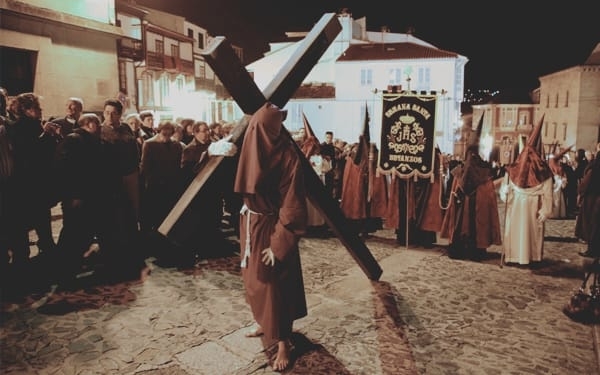 We should also draw attention to the processions on Palm Sunday, Maundy Thursday and Good Friday, and the especially beautiful one is known as “Os Caladiños”. 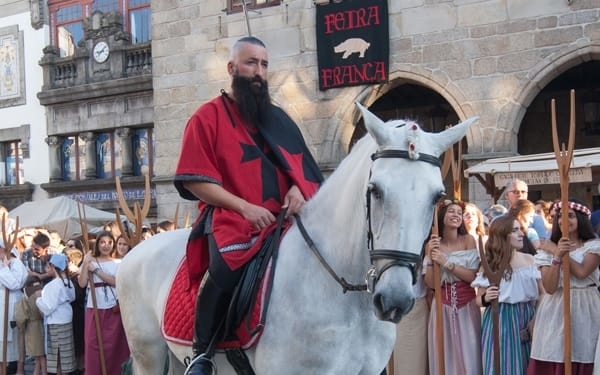 Every medieval city was established in a strategic place, with easy access to trade and with numerous connections so that it could expand. 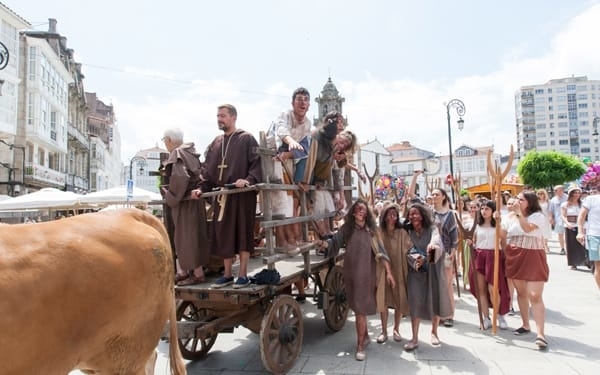 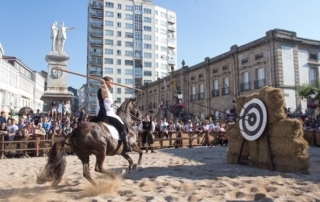 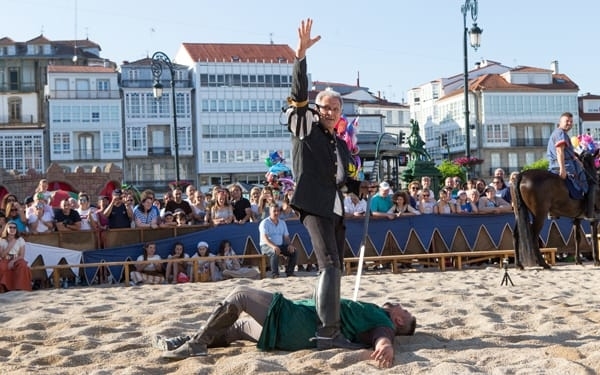 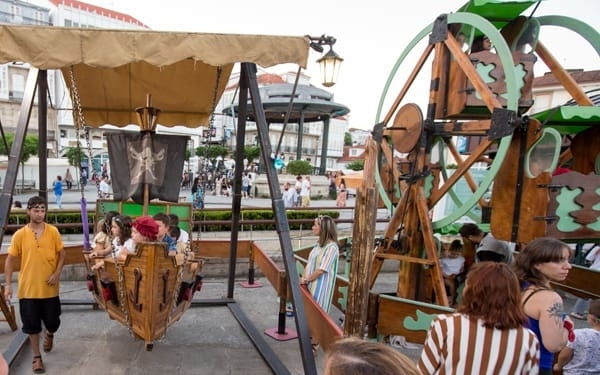 In the case of Betanzos, a piece of land was bought by the Monastery of Sobrado to turn it into the “Fair ground”, an ideal location out with the city walls to celebrate the fairs. The fairs and markets have existed since the transfer of the city to its current location in 1219. It has been documented that a privilege was granted by King Fernando in 1341 in Valladolid that allowed celebrating with a fair the first day of every month, a fair that still remains nowadays. 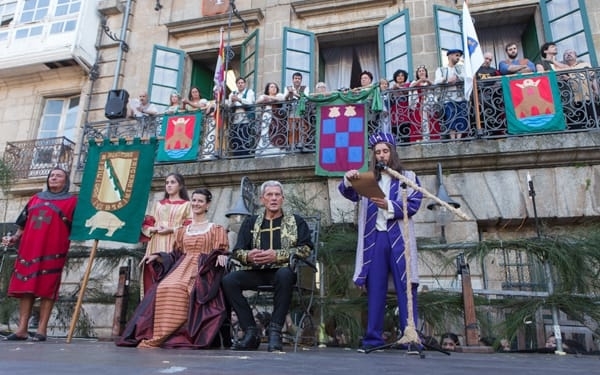 In 1467, King Henry IV granted the celebration of a fair (Feria Franca) from the 1st to the 30th of November, so the only fair that is not celebrated during the established days is the fair of the 30th of November, the San Andrés festivity, to commemorate this historic fact. 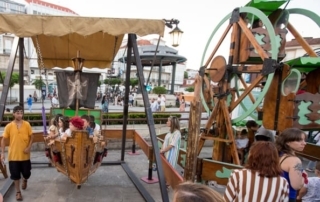 Fairs that took place on the 16th of every month were established in 1871. Aside from the logical consequences from progress, our fairs preserve all its ancestral features and are a focal point for both visitors and also for business in the city. 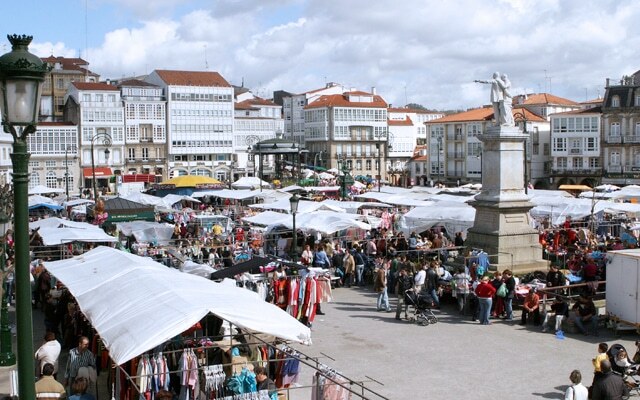 Every Tuesday, Thursday and Saturday a market with typical products is held in the Hermanos García Naveira Square. 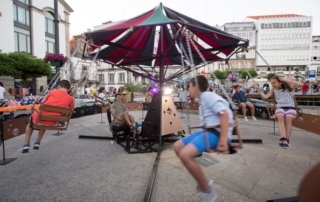 This event is organized by the Biosphere Reserve “As Mariñas Coruñesas e Terras do Mandeo” and the Betanzos city council. 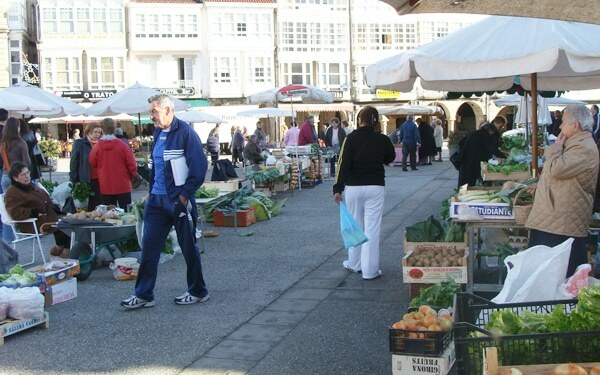 Its main objective is to promote the local varieties of the region, advertising the dedicated work of the entrepreneurs. 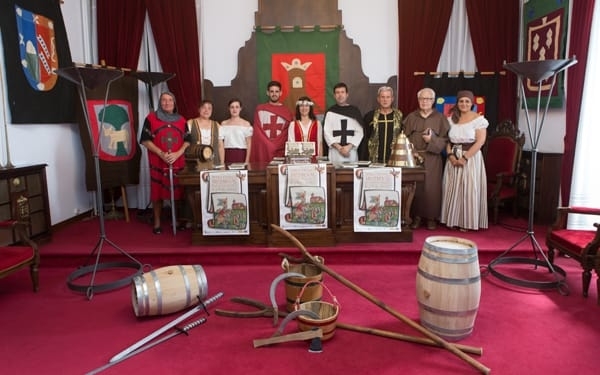 It highlights especially wines from Betanzos. 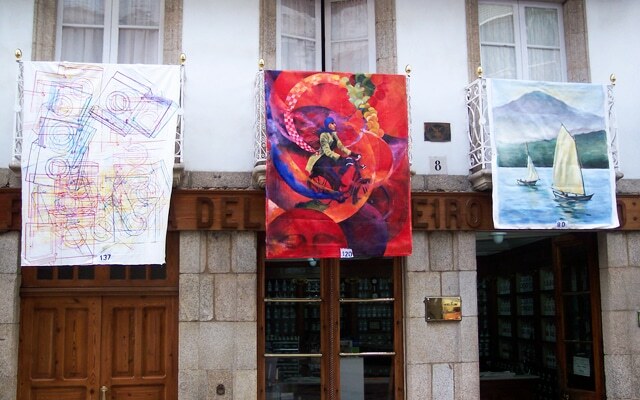 In 1988 Betanzos created the 1st Biennial Balcony Painting, and since its beginning this activity turns Betanzos into an exhibition hall. It was a means of exposing people to pictorial art. 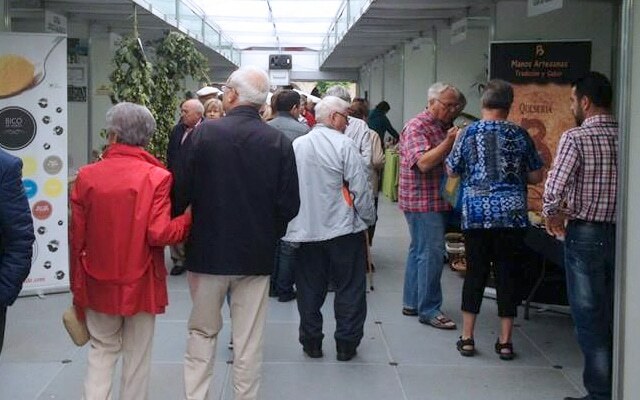 The Biennial Balcony Painting takes place with the purpose of combining painting and architecture. In this way, it forms part of a harmonic ensemble of balconies that radiate colour and luminosity over the historic-artistic centre of Knights Betanzos, formerly full of blazon. 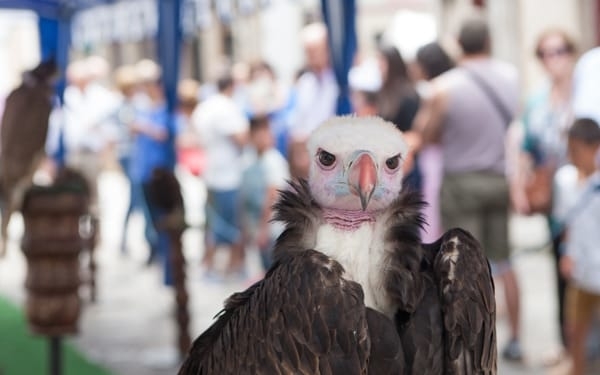 During the Biennial it was full of pictorial works from artists from all around the globe that contribute to cover the old town in a dramatic contrast between avant-garde works, gothic churches, roman austerity, baroque architecture and white balconies. It takes place on the 8th of September at the Nosa Señora del Camiño Sanctuary. The offerings that this virgin receives are countless. 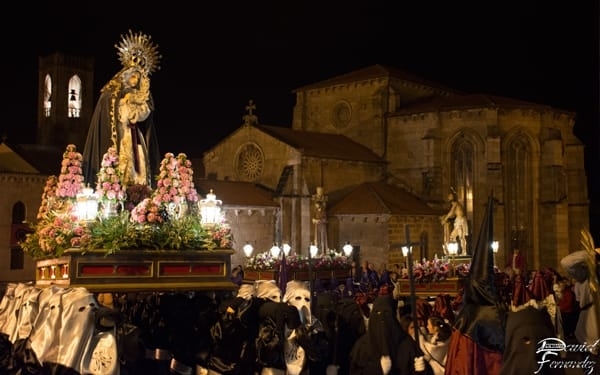 Throughout that day there are constant religious celebrations, as well as the continuous passing of pilgrims with all kind of offers to the Virgen de los Remedios. 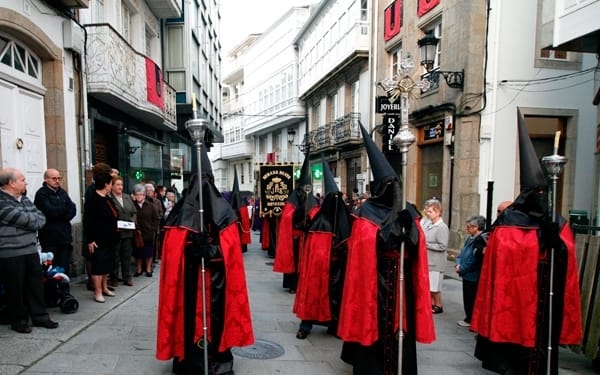 During the afternoon the “Procession” takes place, when the virgin is carried by the believers in a tour through the whole town that begins in the Church and finishes at the Enrique IV Square, before it gets back to the temple. 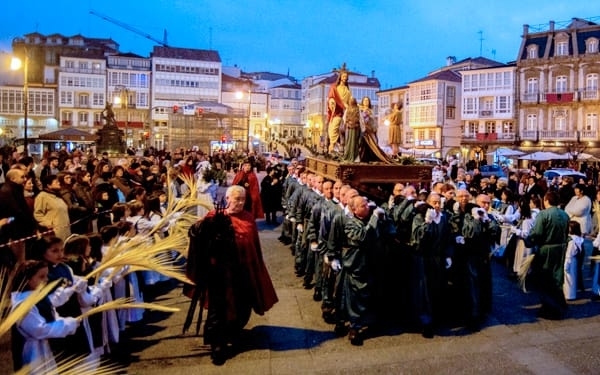 It’s followed by a myriad of believers, as well as by the municipal Music Band of Betanzos. 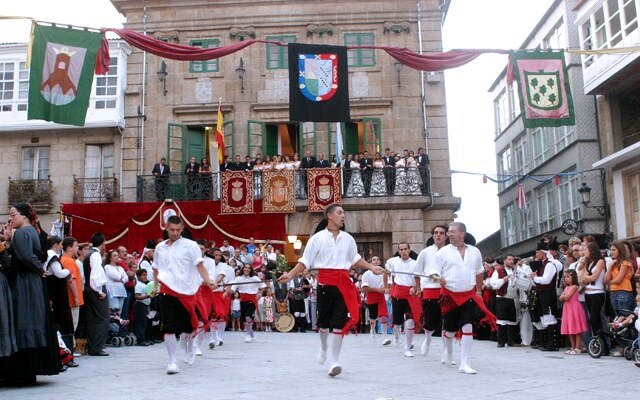 This is a traditional pilgrimage celebrated on the 28th of September, in honour of San Miguel. 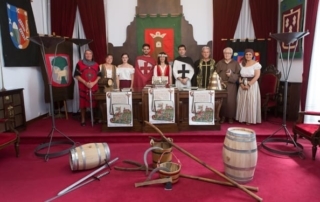 Formerly, it was also known as the Grape Juice Party, as it’s during the harvest period. 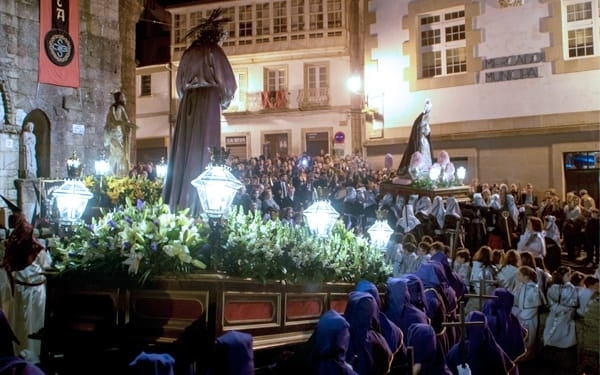 Nowadays there are processions and masses at the Os Remedios Sanctuary. 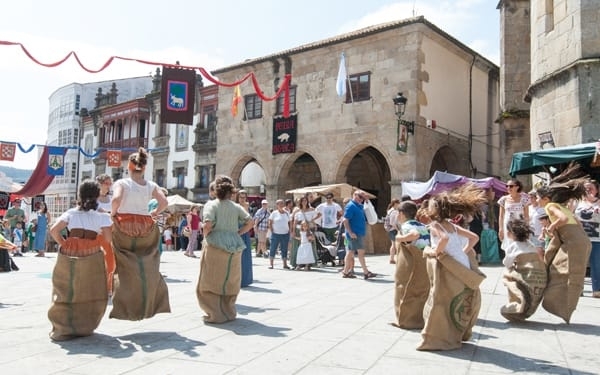 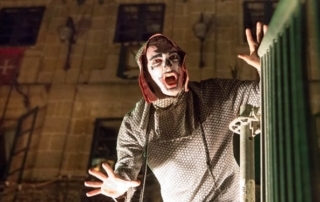 These medieval dances are reminiscent of the distinguished past of Betanzos. 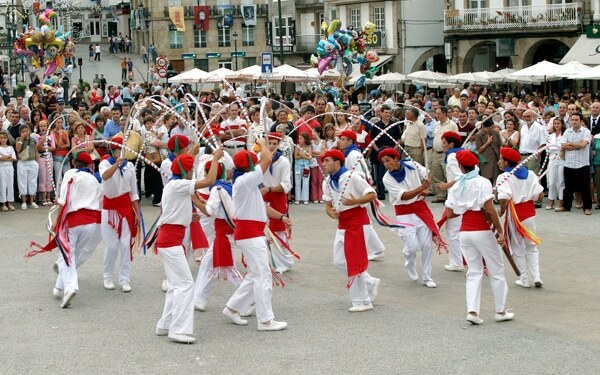 We still preserve the sailors dance, also known as the arches dance, and the farmers dance. 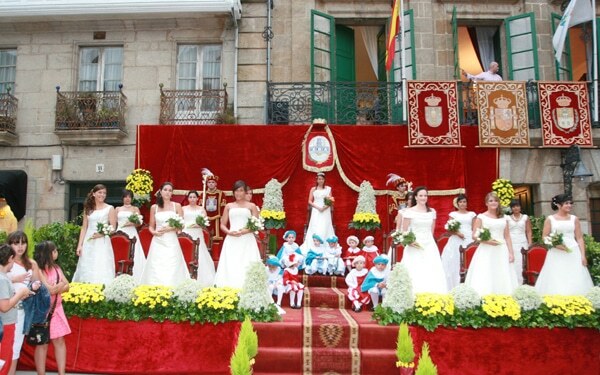 In addition to their undeniable beauty, they stand out because of the conservation of the costumes. 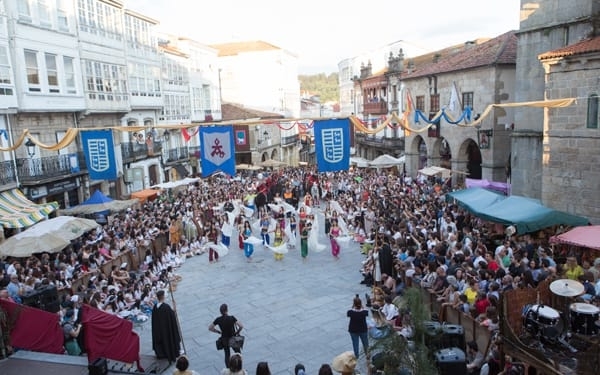 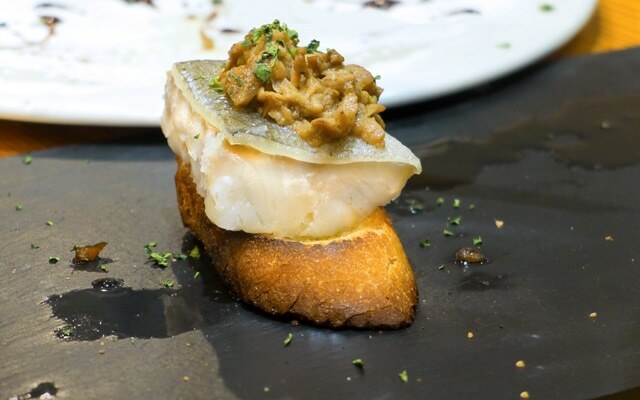 This event started in 2007 to promote and pay tribute to the signature dish of Betanzos cuisine. 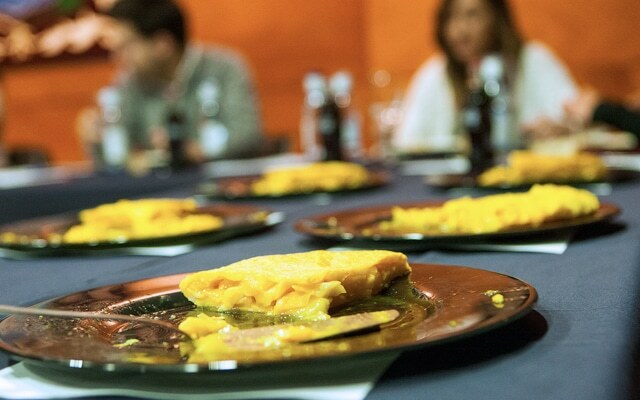 Numerous restaurants in the city participate in a competition which chooses the best Spanish omelette, “tortilla”. 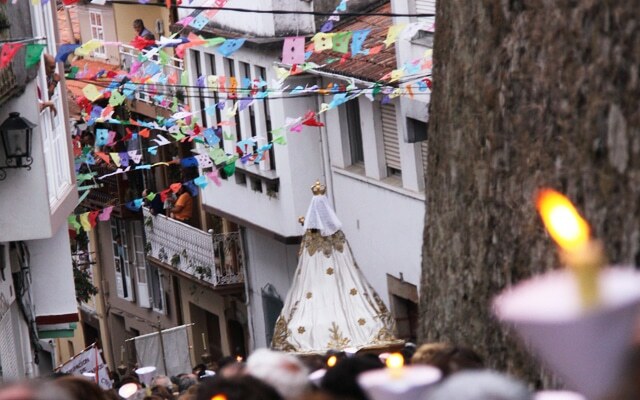 The winner represents Betanzos in the Spanish Omelette National Contest, having won the award on numerous occasions. 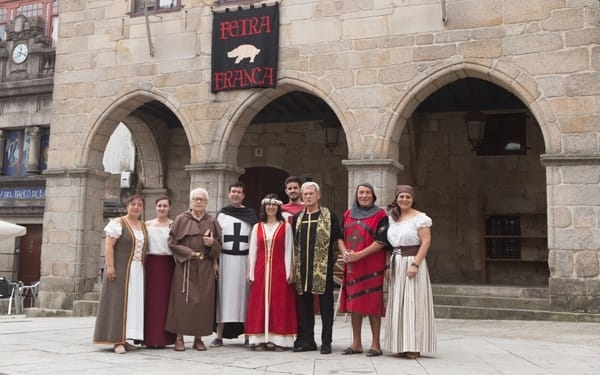 The hotel industry in Betanzos demonstrates its good work and innovation in this contest celebrated at the beginning of December. 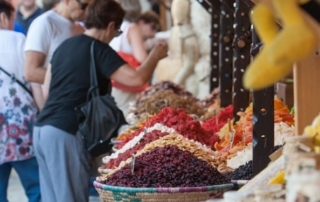 It’s a good way to get to know what different foods are offered in the city.